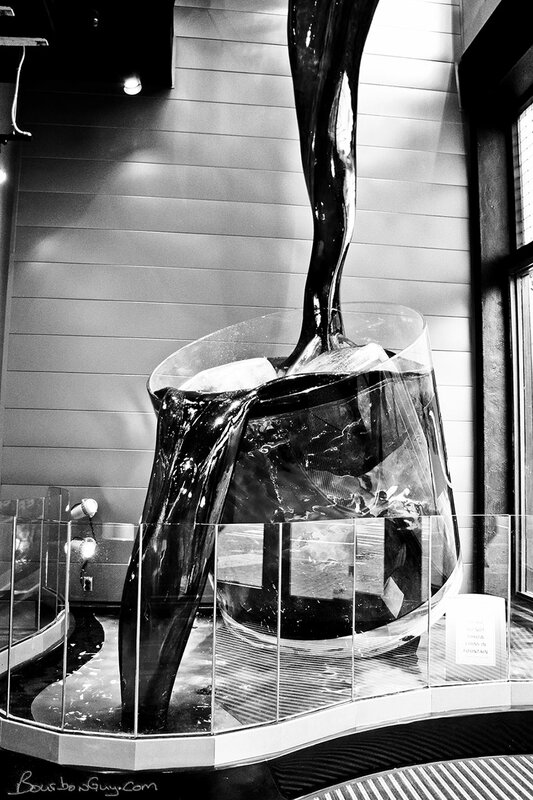 The Evan Williams Bourbon Experience bourbon fountain (not real bourbon). It is 6:30am on Thursday, November, 21st when I leave Madison, Wisconsin. We have a long drive ahead of us. Google Maps says it’ll be about seven hours to drive to Louisville. 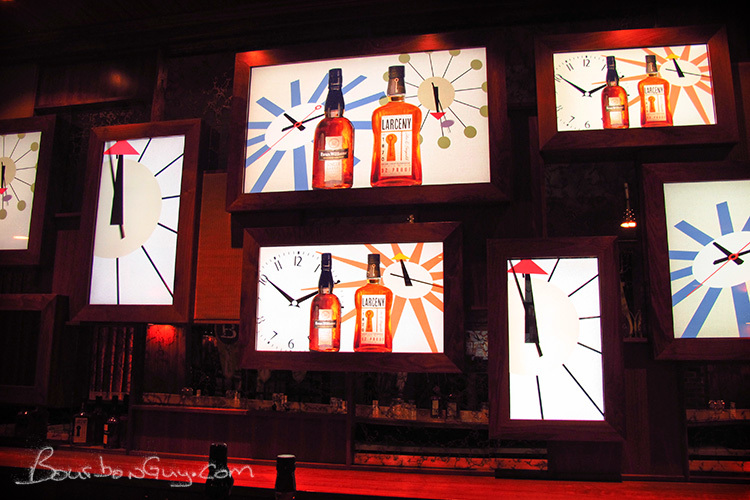 Which is good because the last tour at the new Evan Williams Experience is at four o’clock and I really want to hit that before I continue out of town the next morning. Everything is going good. Google must have never been to Chicago. With the time change, I should have arrived around three or a little before. I instead arrive at 4:05pm. You’ve never seen a sad Eric like you saw that day. Even with rushing to make up the hour or more I lost in Chicago, I still miss the last tour by 5 minutes. Figuring that we’d at least get to to go the gift shop, we park and go in anyway, maybe the tour is running late. We walk in and are greeted by three or four people working there. I walk up to the one heading my direction and quietly say “I’m guessing we missed the last tour, didn’t we?” The lady nods sadly and assures me that we did indeed miss it. After she asks if we’ll be around tomorrow, I shake my head and explain that, no, we are continuing on right away in the morning and that we’d driven from Madison just to try to make it there before they closed. The lady asked me to hang on for a minute and walked over to the group. They talked among themselves for a moment and then we were waved over to the counter. It seems a tour has just opened up. People in Kentucky are so nice. I didn’t ask them to make a special tour for my wife and I. I didn’t expect it. But they went ahead and offered it. So I said yes, and handed over my credit card. After a brief wait for the tour ahead of us to clear out of the movie, we went in. They chose a good name for the tour. It’s not a distillery tour like you are used to. This really is an experience. This is an exhibit designers dream. There are wall sized movie panels with permanent set pieces in and around them. There is a working distillery. There are interior store fronts. It’s really, really nicely done. And Vicky, our tour guide was wonderful. A warm and engaging person, she took us into all the rooms including the tasting room we weren’t going to be tasting in. And along the way we learned the legend of Evan Williams. Starting from the meeting hall where he was nominated wharf-master and ending in the gift shop. How very Disney of them. This movie played on the wall behind a recreation of a historic pot still such as Evan Williams might have used. This is the third of three wall sized movies that show Evan Williams in early Louisville. After the still, you get to see a lighted diagram of the bourbon-making process. Partway through, a window slides up and you see the working distillery behind you. After the diagram you walk up a flight of stairs and get a bird's eye view of the working distillery. In front is a fermentation tank and the very shiny still is in the background. 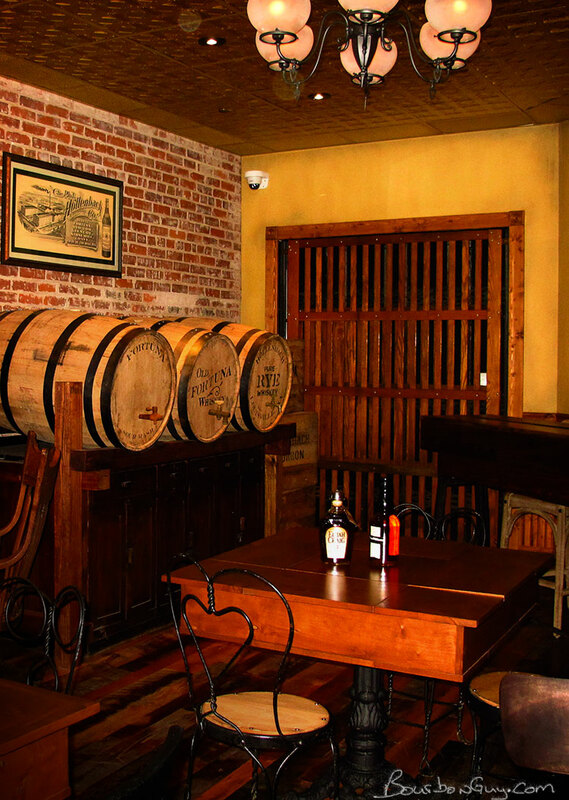 Once you move up stairs you enter Whisky row as it was in the late 1800s. It's filled with store fronts, displays and wall art such as this. There are two tasting rooms that you might get to enter. The first is the pre-Prohibition saloon. As you move forward in history, you enter a hard time for Louisville. Prohibition. Displays include buildings for rent, cases filled with medicinal tinctures and art such as this. 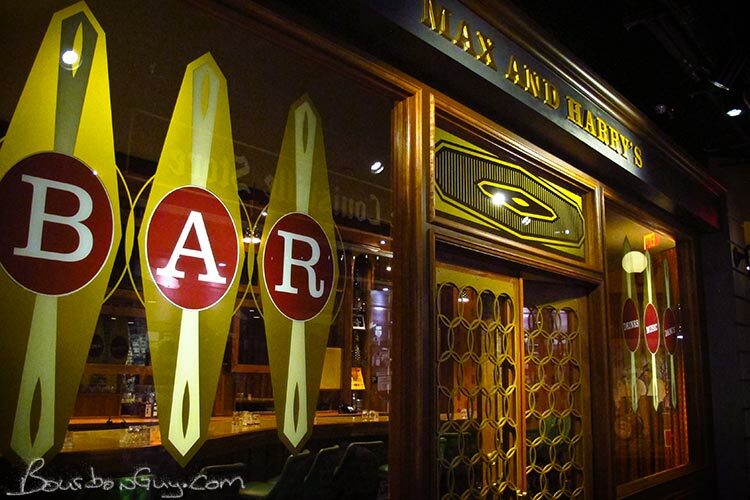 Named for two influential members of the Shapira family that owns Heaven Hill, Max and Harry's Bar is the tasting room we had our tasting in. 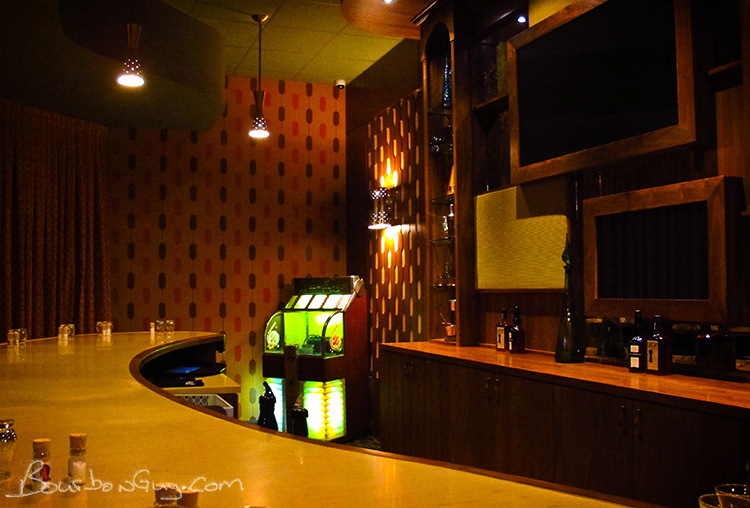 This bar is full of 60s swank. Though in my head it represents the late 70s since that's when I remember this style from my parent's and grandparent's homes. Even though the decor is full-on swank, the displays are top-notch. As a designer, I love the googie-inspired art. A little bourbon in the glass is a very nice way to end a wonderful experience.